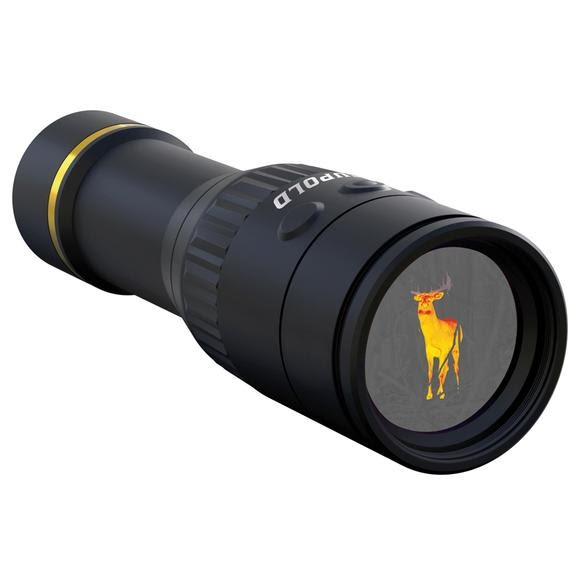 Leopold's LTO-Tracker allows hunters to better understand their surroundings, easily recover game and have more success in the field. The compact thermal imager is only 5.6 inches long and weighs less than 10 ounces, allowing it to be carried comfortably in any pocket. It features a 21 degree field of view, 6x digital zoom, and has a thermal detection distance of up to 600 yards. Leopold &apos;s LTO-Tracker allows hunters to better understand their surroundings, easily recover game and have more success in the field. The compact thermal imager is only 5.6 inches long and weighs less than 10 ounces, allowing it to be carried comfortably in any pocket. It features a 21 degree field of view, 6x digital zoom, and has a thermal detection distance of up to 600 yards. The LTO-Tracker has 6 optional thermal palettes and a user controlled reticle for quick acquisition of the target. Add the LTO-Tracker to your pack and change the way you hunt forever.